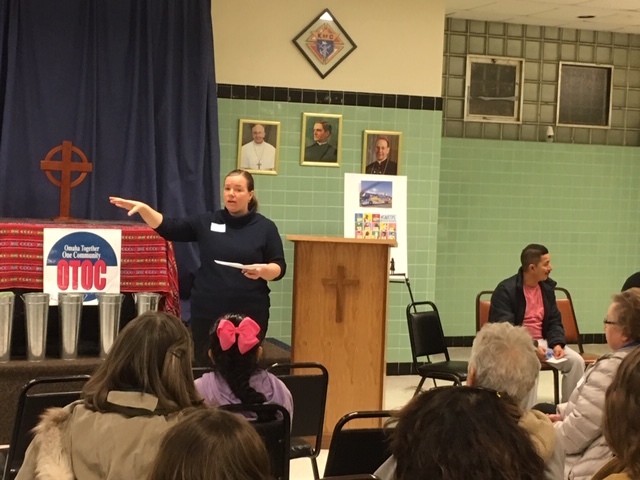 The evening’s sole focus was to inform members of the community about the Temporary Protected Status program and the effects the removal of such program will have on the country if TPS holders loose their right to work and maintain a safe and healthy life within the United States. Dreamers and TPS holders have an opportunity to be heard at the 2019 TPS Summit in Washington DC happening Feb 10-13. 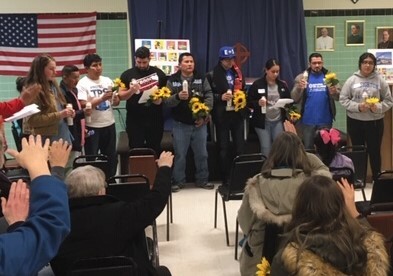 They will have the chance to build their strength and obtain the necessary skills to empower their communities during the many Leadership Workshops offered, and will have the freedom to inform members of Congress that TPS holders and Dreamers need Permanent Resident Status and a pathway toward citizenship. 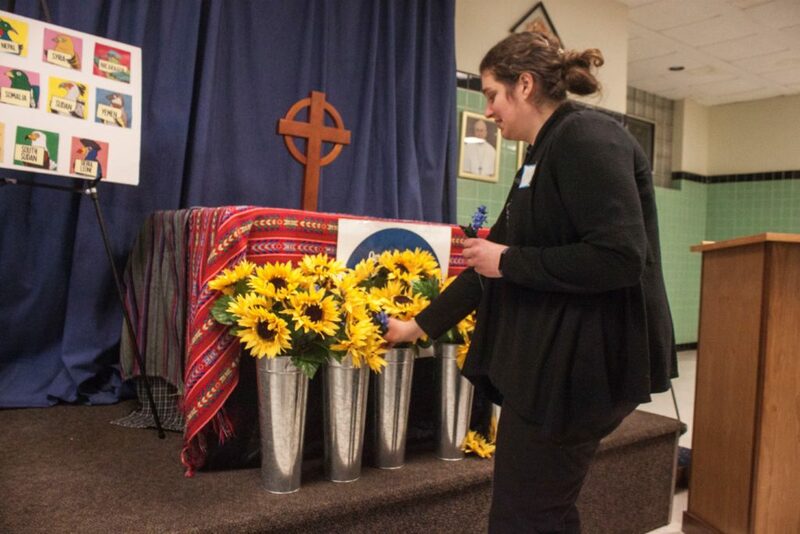 The Send Off began with the opening prayer and was followed by participants who brought flowers to the alter that represented the good things immigrants and refugees bring to this country. All attendees were given a flower as they were greeted at the door and were told to hold those flowers in their hands as metaphoric representations of the talents and skills they each bring to this country and commujnity when moving to one’s new home. 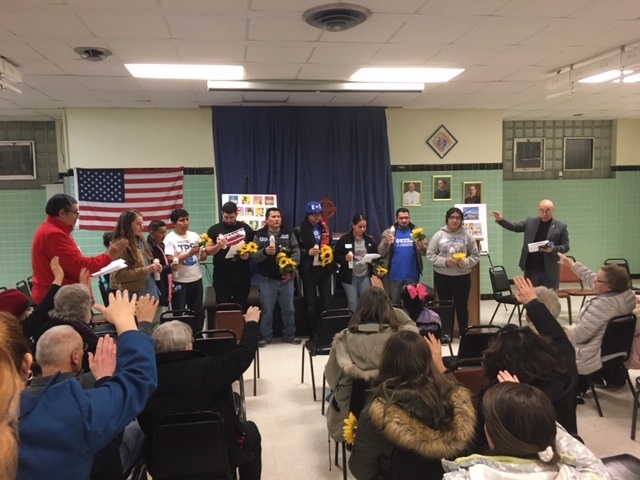 After the prayer each individual brought up their flower to the altar while the song ” Vengo de Todos Lados” by Alianza Nacional played in the background helping to set the warm welcoming mood. 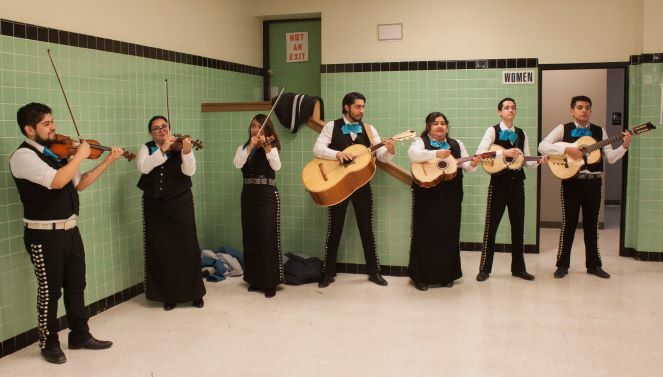 The celebration continued with Live Mariachi Music, performed by Mariachi Patria Juvenil of Omaha, NE. 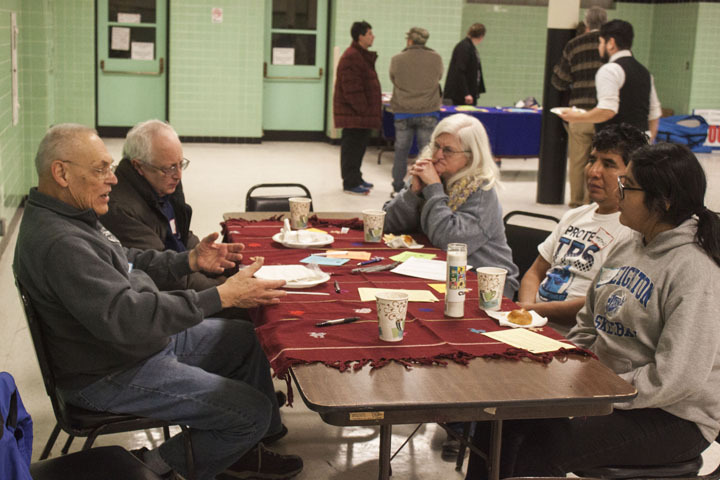 During the social part of the event, the 9 individuals who are representing Omaha each sat at a table and spoke to visitors about the importance of fighting for Permanent Residency for TPS holders and were able to speak about their personal stories 1 on 1 with the community. 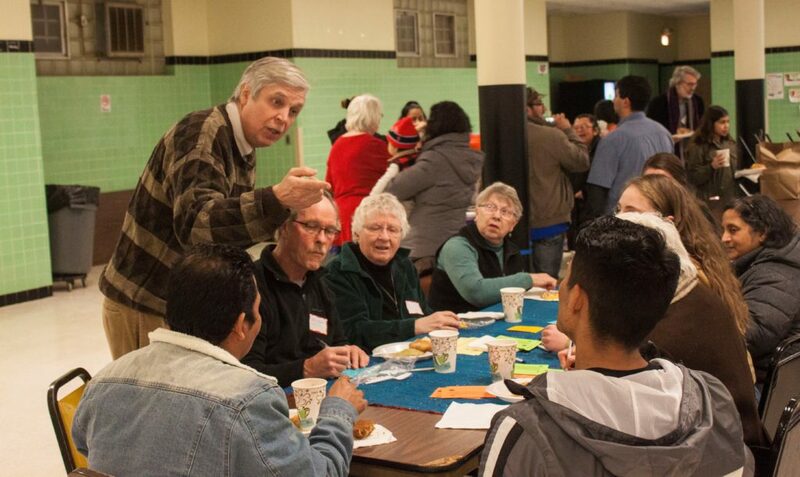 The attendees enjoyed warm home made Champurrado(Salvadoran Hot Chocolate), authentic Salvadoran tamales, and sweet bread all the while conversing and building relationships with one another. 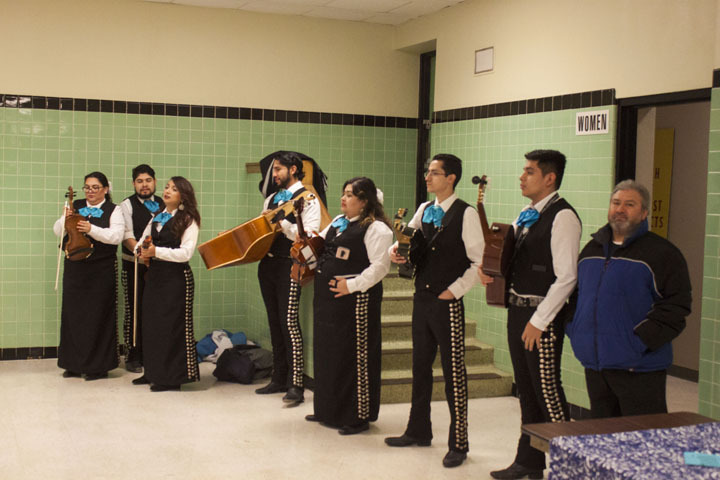 Mario Vasquez, Jose Joel Guardado Mejia, Salvador Vasquez Ruiz (Holy Name Church), Ismael Rivera (TPS Alliance), Jose M0lina, Nelson Rodriguez, Cindy Yoanna Vasquez (South High School), and Esmeralda Rodriguez (Bryan High School Valedictorian) and Claire Johnson (Creighton University). The TPS Alliance of Nebraska is visiting the offices of Sen. Sasse, Sen. Fischer herself, and the office of Representative Bacon while in Washington DC this week. 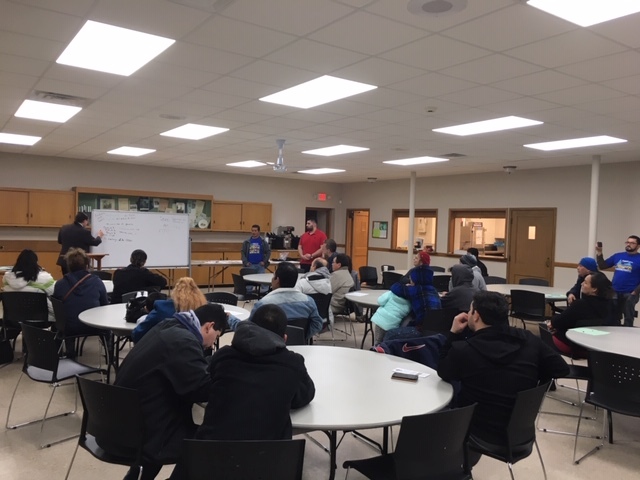 On Saturday February 2nd, the Nebraska TPS Alliance met with local community members to inform them about the various legal options that exist for holders of Temporary Protected Status. 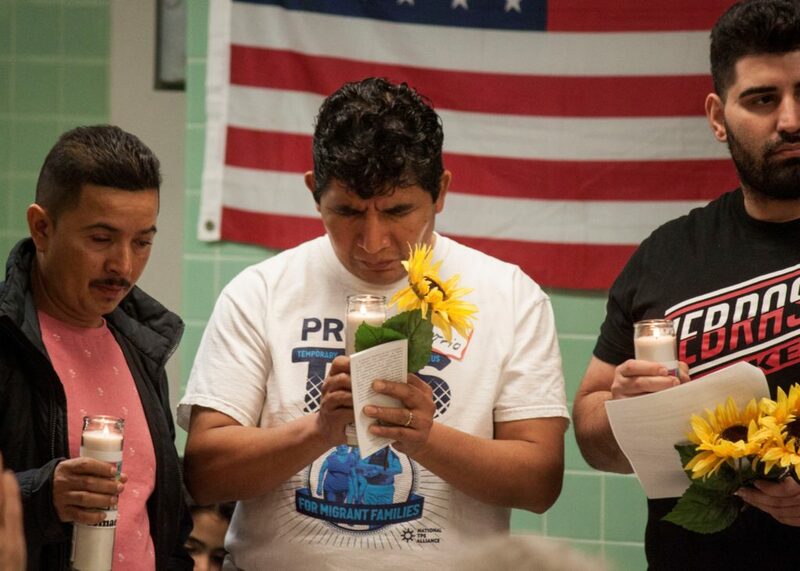 OTOC and IPL reached out to Immigration Lawyer Gary Walters (Immigrant Legal Center), who gladly offered his time to give members a workshop regarding the different ways that TPS holders can seek legal status for themselves if the TPS program is terminated by the Trump Administration in September, 2019. 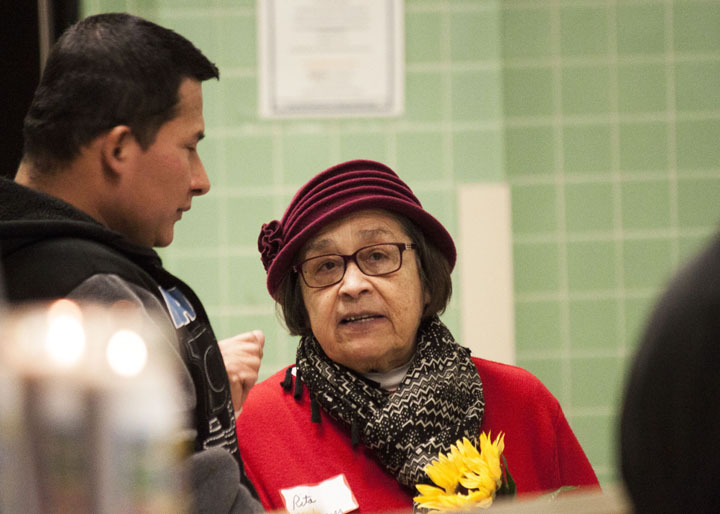 About 35 TPS holders and family members from various local churches gathered to learn about of different ways they might qualify to remain in the United States if TPS is ended. These leaders want to remain in the counrty and city they have called home for nearly 20 years. 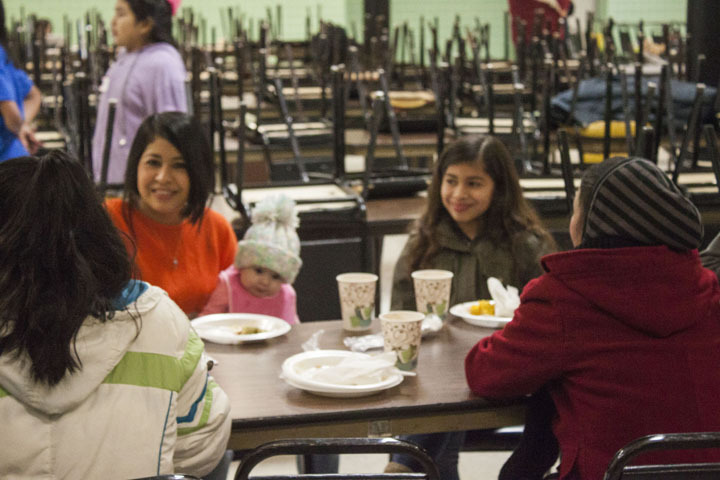 They are very concerned about what will happen to their citizen children, their homes and belongings if the United States closes our doors to them. They have put down deep roots in Omaha, working in a wide variety of important jobs from health care to meat packing plants, from trucking companies and roofing companies to law offices. They own their own their homes and cars and simply want to be allowed to contributing to our city and country. Lawyer Gary Walters explained a number of options which the TPS holders might have including: (1) Qualifying for Permanent Residency if they are married to a US Citizen or have a 21 year old child who is a citizen: (2) Seeking Political Asylum; (3) Seeking Cancellation of Deportation; (4) Seeking protection under certain special laws protecting the victims of domestic violence or human trafficking; or (5) The Nicaraguan Adjustment and Central American Relief Act or NACARA, and more. 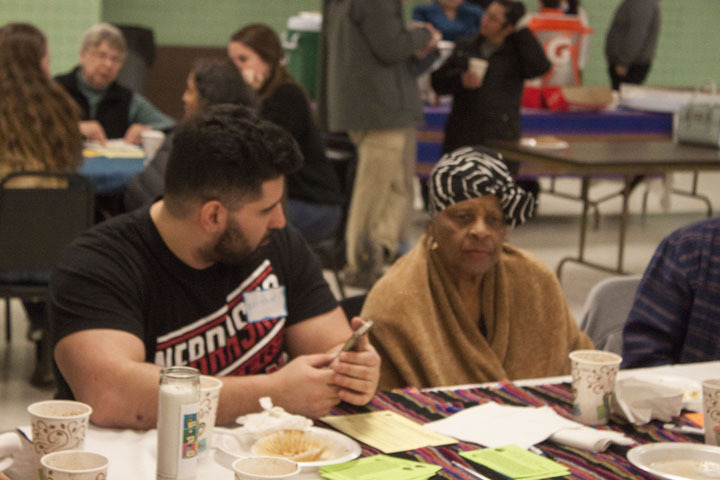 The Workshop was organized by Bilingual Organizer, Antonio Barrales in Partnership with TPS Alliance Leader, Ismael Rivera. This event is part of IPL’s ongoing efforts to reach out to the TPS community in the Omaha Metro Area and to help show light to this very important issue.